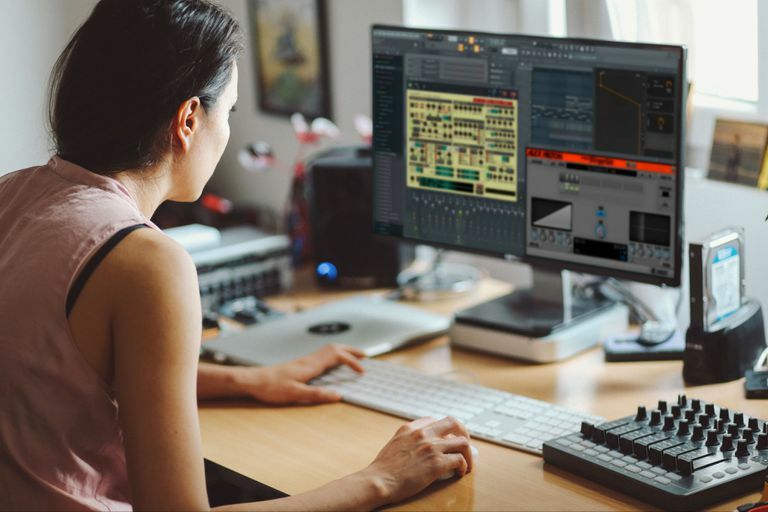 Audio production can be expensive work, even if you go the virtual route with a digital audio workstation (DAW) and virtual instruments. Working with virtual studio technology (VST) plugins is tremendously convenient, but a lot of the best VST plugins out there are very expensive. If you're looking to expand your library of VST instrument (VSTi) plugins, or tweak your mixes with some great effects or MIDI effects VST plugins, you can do it for free. You just need to know where to look. We've assembled the top 15 free VST plugins that can help elevate your music to the next level. Since they're free, you can grab them all, and see how they sound, without opening your wallet. Every VST in this list will work regardless of your operating system, as long as your digital audio workstation supports VST plugins. Some of them include an installer, in which case you need to download the installer that works with your operating system. What it does: This virtual analog synth was inspired by the Clavia Nord Lead 2 synthesizer. It's one of the most versatile free soft synths you'll find, and it's a great choice if you're looking to get started making retro music like synthwave without spending a bunch of money. It includes a bunch of default presets, and there are also a ton of additional free soundbanks available. If you can't afford Sylenth1, then you could do a whole lot worse than Synth1 as a fallback option. What it does: Dexed is a frequency modulation synth that's designed to look and sound a lot like the well-known Yamaha DX7. It's the best freeware DX7 emulator that you'll find, which makes it an obvious choice. This synth also includes a ton of presets, which is good news if you don't quite have your head wrapped around creating your own synthesizer settings yet. What it does: Helix is a synth that offers a tremendous amount of versatility, with four separate oscillators and a ton of utility. The only downside of this VSTi is that it's more like shareware than freeware. You can download it for free, and there aren't any features locked out, so you can see what it's capable of first hand. What we don't like: The problem is that it's programmed to generate random noise every so often unless you pay to unlock the full version. What it does: Tunefish 4 is an additive synth that provides similar functionality to Tunefish 3 in less space. It's great for creating big, booming bass lines, but the presets don't really do a great job of showcasing all of its capabilities. If you're ready to start dipping your toes into fine tuning settings on a powerful synthesizer VSTi, this is a good one to go with. What we don't like: Since the presets aren't that great, you'll need to play around with the settings a lot to get the most out of it. What it does: Hypercyclic is a MIDI arpeggiator that can introduce randomness into your MIDI that makes it sound more natural and less computer-generated. It's designed to send MIDI data to another VST plugin of your choice, but it does include a built-in synth as well that you can use to fine tune everything without any additional plugins. What we don't like: The built-in synth is very basic. What it does: SQ8L is designed to emulate the classic SQ80 synth from Ensoniq, so it's a great place to turn if you're looking to layer in some nostalgic, retro sounds. It also comes with a bunch of presets for that authentic 1980s synth sound. What it does: Krush is a bitcrusher plugin, which puts it in the effects VST category. Instead of using it to generate new sounds, you use it to modify the output from an instrument VST. As a bitcrusher, it's designed to clip, downsample, and filter your tracks to create interesting new effects. If you're just starting out with effects plugins, Krush is a good place to start due to its versatility. Throw it on your mixer, and see what you can do. What it does: PanCake2 is another effects plugin that alters your tracks rather than making any audio of its own. The main point of this plugin is to create crazy panning effects that go far beyond whatever capabilities your digital audio workstation might have on its own. This plugin comes with a bunch of presets, but you can also draw in curves for your panning modulation manually. That flexibility makes it one of the best free VST plugins that you can add to your arsenal. What it does: TDR Nova is a parametric equalizer, which means it's an effects plugin. You can use it to dynamically process a single track or your full stereo mix to fine tune things exactly to your liking. If you're looking to step things up from your built-in equalizer, this is a plugin you need to grab. There is a paid version of TDR Nova that adds two additional frequency bands and various other tweaks, but the free version is completely functional. What it does: Zebralette is the free version of U-he's fantastic Zebra2 synthesizer. It's basically a pared down version with only one oscillator, but you can get a lot of work done with what they give you. In addition to Zebralette, U-he has a bunch of other free VST plugins that are worth checking out as well. What we don't like: Zebralette is a self-described Trojan horse designed to get you hooked so that you'll buy Zebra2. What it does: OBXD is based on the venerated OB-X synth from Oberheim, but it isn't a direct copy. It does a pretty good job of imitating the kind of sound you'd expect to get out of the OB-X, but layers on a bunch of additional features. If you're looking for a free synth that can create Oberheim-ish sounds, this is the best you're going to get. What we don't like: The additional features are designed to smooth over shortcomings of the OB-X, but it still doesn't have any built-in effects. What it does: MT Power Drum Kit 2 is the fastest, easiest way to get high quality drums out of a free VST. It includes a huge library of high quality drum samples and tons of MIDI grooves and fills that you can arrange however you like to quickly lay down a drum track. What we don't like: The only problem with MT Power Drum Kit 2 is that, while free, it prompts you to make a donation every time you launch it. If you want to get rid of that screen, and get right to work, you have to pay for an unlock. What it does: Vintage Drum Elements is the best way to get authentic-sounding drums that sound like they come from sources like the Yamaha RX5 kit. It has a sort of warm analog feel that most drum VSTi plugins can't match. What it does: A1TriggerGate is a sequenced gate effect VST that's designed to chop up incoming audio signals. That means you can use to turn boring sounds like pads into interesting rythmic sequences. It's tremendously powerful and versatile for a free effects plugin, and it's also extremely easy to jump in and start using. What it does: The best vocoder plugins cost a lot of money, but TAL Vocoder gets the job done pretty well for free. It's specifically designed to produce sounds in line with vintage 1980s vocoders, so it's great if you're going for a retro sound. In addition to TAL Vocoder, Tal also has a bunch of other great VST plugins that you can grab for free.